Do you dye your hair? If so, you're definitely not alone. According to statistics, about 75 percent of women do, with about that many feeling more attractive right after the new color is in. There's little doubt that hair color can make women look and feel younger, but many women are concerned about the chemicals. Most hair dyes are full of them. One of the most concerning ones is called “resorcinol,” which has been linked with hormone disruption and skin irritation. Chemically, resorcinol is a dihydroxy benzene. Benzene is a natural constituent of crude oil, and one of the most basic petrochemicals. Benzene is also known to increase risk of cancer and other illnesses. Scientists use benzene along with other chemicals to make resorcinol, or they may fuse resins with potassium hydroxide to make it. The resulting chemical works as a coloring agent, antiseptic, disinfectant, and anti-itch agent. This ingredient is not only used to produce dyes, but also as a treatment for skin diseases like psoriasis, eczema, and acne, and as an anti-dandruff agent. In hair color products, resorcinol works with other chemicals in the formula to provide a permanent color effect. Particularly colors with more yellow tones use resorcinol, though it can exist in any coloring product. Resorcinol is classified as a hazardous chemical. It's combustible and has to be kept away from flames. Inhalation can cause abdominal pain, nausea, and unconsciousness. If it gets on your skin (or your scalp), it causes redness and pain. It's also considered hazardous to the environment, as it dissolves easily and may infiltrate waterways, presenting hazards to fish and other aquatic life. But the dangers are more serious than that. According to the World Health Organization (WHO), animal studies show that resorcinol caused thyroid dysfunction, effects on the central nervous system, and alterations in the adrenal glands. The organization adds that the ingredient was highly toxic after oral or subcutaneous (under the skin) administration. Finally, the WHO added that the chemical can cause sensitization, which means that the more you use it, the more sensitive you can become to it, until you're allergic to it. In looking at the details, we find that laboratory studies showed that high doses of resorcinol inhibited thyroid peroxidase enzymes, disrupting thyroid hormone synthesis and causing changes in the thyroid gland that were consistent with goiter—thyroid enlargement. This condition causes difficulties in regulating metabolism, which can result in weight gain, malnutrition, and immune system dysfunction. Even more concerning is the fact that human studies showed the exposure to resorcinol was associated with thyroid effects, central nervous system disturbances, and red blood cell changes. These changes were seen with skin applications of high concentrations of resorcinol in ointments. There have also been some studies that have indicated resorcinol may be carcinogenic, though so far the results are inconclusive. The WHO also noted that there may be a risk from resorcinol in the aquatic environment from sites where hair dyes are formulated. Women and men who regularly have their hair dyed may be at an increased risk of health effects from resorcinol, but even more at risk are the hair stylists themselves. According to the WHO, hairdressers do not always use gloves for hair dying. Hair that had been rinsed after dyeing may still contain traces of resorcinol. Hairdressers who cut dyed hair may be exposed. In fact, resorcinol was found in the hand rinse samples of 20 out of 29 hairdressers after cutting newly died hair. Do you get any resorcinol on you just by getting your hair dyed? Studies show you do. In vivo and in vitro scientific research shows a small amount of resorcinol does penetrate the skin during hair coloring, and that some is also retained in the very top layer of skin, where it's slowly absorbed later on during the day. The total amount absorbed is small, and so far, research indicates the body is able to excrete it within about 30 hours. Is the tiny bit of resorcinol you may be exposed to at one hair coloring going to cause health damage? Most likely not, but with repeated colorings, we just don’t know what the affects may be. Hairdressers, in particular, are advised to always wear gloves and always rinse thoroughly. My recommendation would be that you avoid this ingredient. It's toxic, plain and simple, and though most manufacturers use less than 5 percent in their hair dye formulas, it still makes me feel uncomfortable. Particularly if you're pregnant or breastfeeding, stay away from hair dyes with this chemical. In addition, if you're not comfortable with your natural hair color, use organic or other natural hair color systems that contain fewer chemicals. Ask your hair stylist if he or she has safer options. You can also consider taking your own to your stylist. Be sure you have no open wounds on your scalp, neck, or around your face when going for your coloring appointment. Have you changed your hair coloring habits because of chemicals? Do you have a favorite non-toxic brand? Please share your tips. Photo courtesy Agnes Jr via Flickr.com. “Hair Coloring/Dying Statistics,” Hair Boutique, Ezine Articles, April 24, 2012, http://www.statisticbrain.com/hair-coloring-dying-statistics/. S. Hahn, et al., “Resorcinol,” World Health Organization, 2006, http://www.who.int/ipcs/publications/cicad/cicad71.pdf. hairdye on skin is the Villian. states in their MSD-sheet to use protective gloves and cap. Eleven deaths have occurred from hairdye. Dye risk is inevitably exposure risk of leaukemia and lymphoma. As a hairstylist & using a color company that contains resorcinol, ppd & ammonia. I’m wondering how these ingredients can affect the nervous system? As I keep coming across information that warns against these ingredients it mentions that it can effect the nervous system. Please give me info if any. Thank you! There is PPD in OCS, at least when I used it. They may have removed it but this was only last June. I honestly and unfortunately have to disagree with Organics Color Systems as being totally safe. I had gotten rid of hot flashes that I had for over a year with a Homeopathic medicine and when I got my hair color done the hot flashes came back. I used the same homeopathic and the flashes went away. There is still something in there such as the PPD that is an endoctrine disruptor. Not all organic color Hair dyes contain NO RESORCINOL. 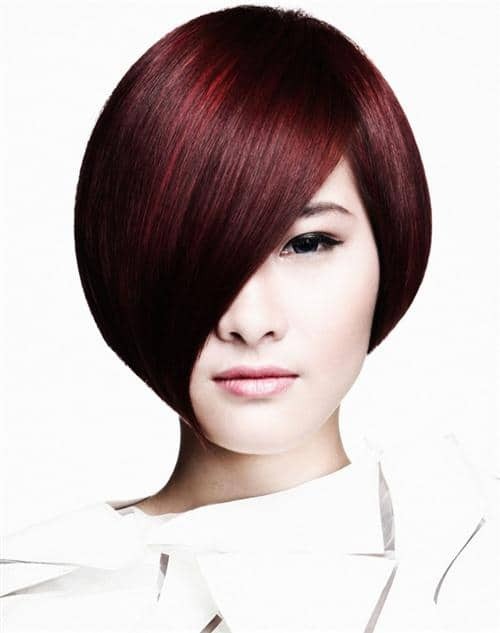 In fact, most of Organic Hair color dyes contrain Resorcinol. Choose carefully even if brands say they are Organic. NATULIQUE (Professional Salon used organic hair colour dye) and NATURIGIN (D.I.Y. home consumers hair dyes) are truly 100% RESORCINOL FREE. If the product content resorcinal 0.3% then also harmfull for health ? Any one tell me level harmfull for heath. Hey! I found out about this new product on the market – ONCartofcolor. It’s only in Los Angeles as of now, BUT it’s ammonia and resorcinol free and enhanced with argan oil. My hair felt like it got a treatment when it really was dyed! I love Naturtint. It always gives me a natural looking color even as it fades and is free of resorcinol. When it does fade, because I use a bright red and they always fade, it never goes back to grey, just a nice lighter natural looking color.